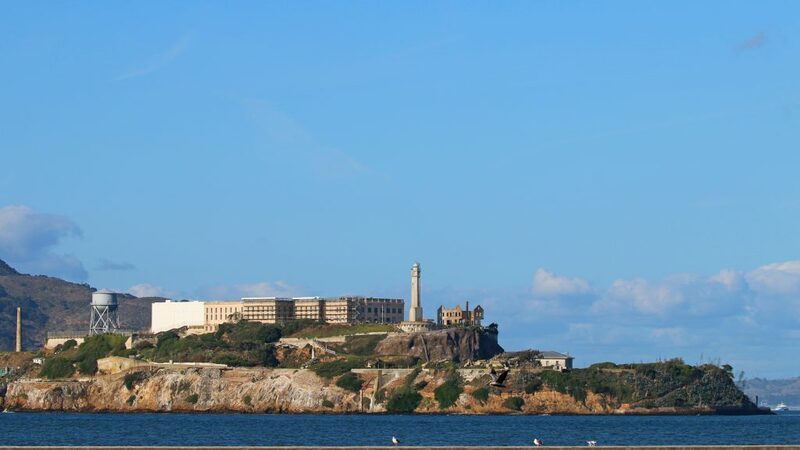 San Francisco Maritime National Historical Park is located in the Fisherman Wharf neighborhood of San Francisco. The park is easily accessible and a great area to spend a few hours exploring. Be prepared for the weather because in San Francisco you don’t know what is going to happen during the day. When my wife visited the park for the first time it was raining so bad she had to buy an umbrella at a gift shop so she could keep exploring. When I visited the park it was a gorgeous sunny afternoon perfect for exploring the park. The visitor center is located in a 1908 historic brick cannery warehouse. You can explore “The Waterfront” exhibit and take an interactive walk through six historical waterfront neighborhoods. Plus grab your park stamp, Junior Ranger program and find out about ranger programs. The visitor center is located at 499 Jefferson Street at the corner of Hyde Street and is open seven days a week from 9:30 am to 5:00 pm. You can walk up the 1886 Balcutha gangway and step back into the 1800’s. See what it was like for sailors who spent months at a time on the ship transporting California wheat to Europe. Imagine the C.A. Thayer piled high with Douglas Fir trees that were transported from Puget Sound to California for building materials in the early 1900s. The 1890 ferryboat Eureka was originally built to move trains across San Francisco Bay. Make sure and check out the inside of this ship. You may be surprised to find classic cars and trucks inside. 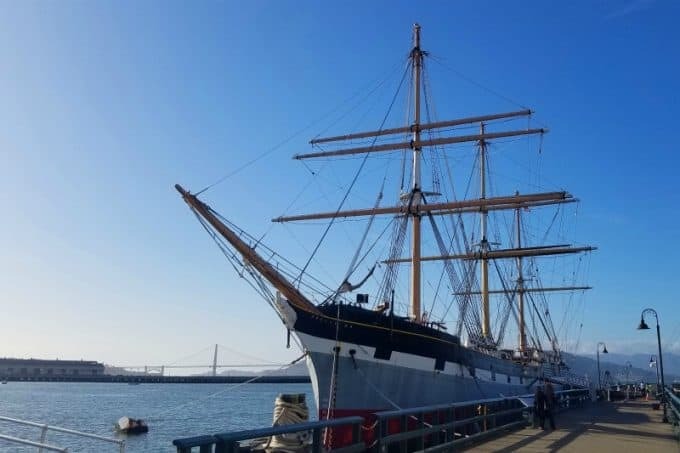 Alma is the last San Francisco Bay scow schooner still afloat! The flat-bottomed scows carried cargo including hay, gran and fertlizer between farm communities and San Francisco. This steam tug pulled big ships out to sea along with dragging huge rafts of logs. It was also used to tow huge lock structures for the Panama Canal. Can you believe this little tugboat crossed the Atlantic from England under its own power in 1969. The Maritime Museum is located in the Aquatic Park Bathhouse building. 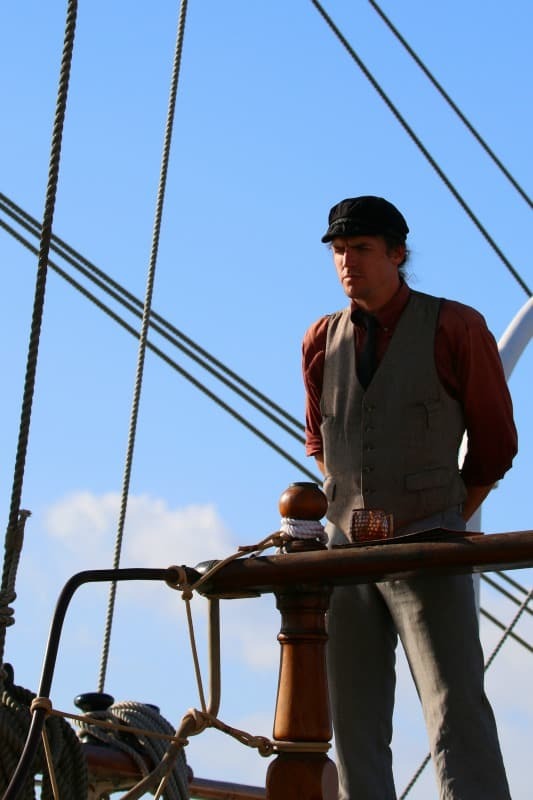 The museum has changing exhibits that explore West Coast maritime history. The bathhouse was built in 1939 by the City of San Francisco and WPA – Works Progress Administration. Make sure and check out the lobby murals. Visit one of San Francisco’s few urban beaches and watch the trolly cars turn around. You can also stroll along the waterfront and the Municipal Pier. If you feel like going in the water be very careful of seals. There have been a few people bit along the shoreline by seals. 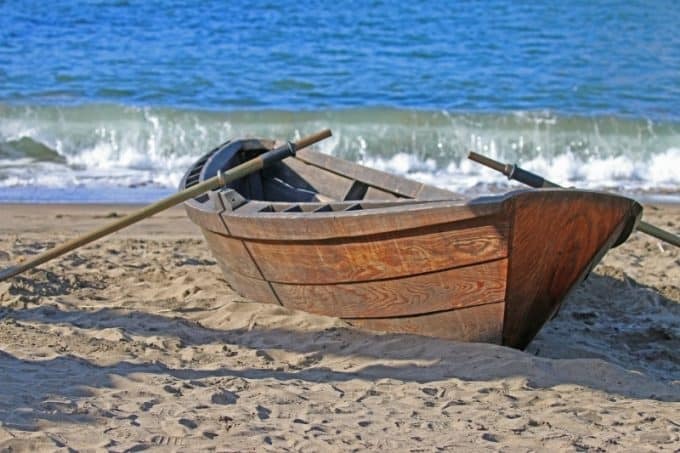 During your visit take time to talk with the boat builders at the small boat shop. It is so cool hearing what they are working on and how they learned the craft of boat building. 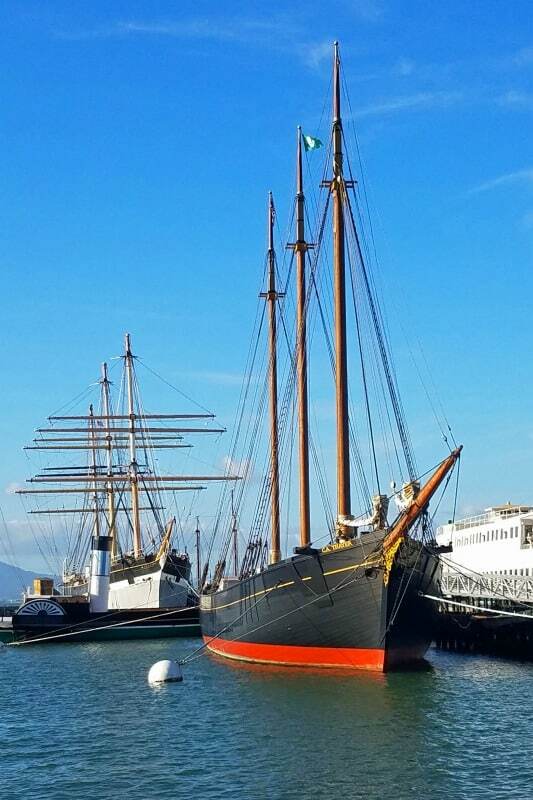 Imagine sailing from Hyde St. Pier on an 1891 National Historic Landmark scow schooner the Alma. 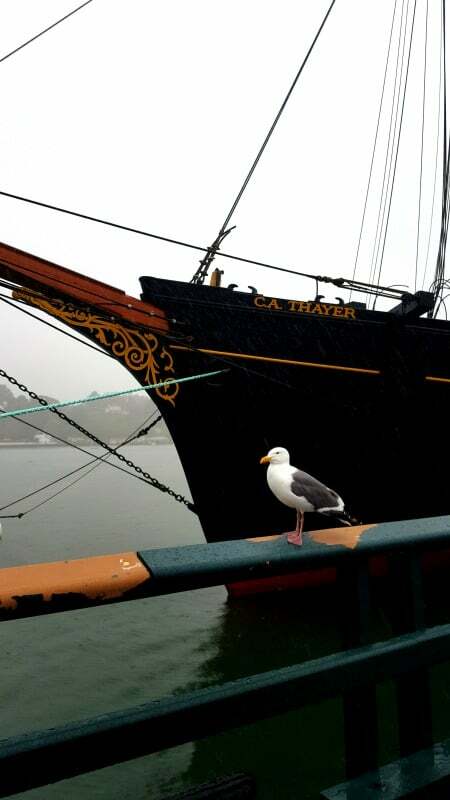 You will set sail with Park Rangers and learn about San Francisco and West Coast maritime history. There is only room for 37 passengers on each sailing so make sure and get a reservation once you know when you will be in the city! The Alma Vessel is wheelchair accessible with assistance. There are no bathroom facilities on board the ship so be prepared! Arrive by 12:00 PM to pick-up tickets. #27 – More Alive than Ever! Park phone number for information – 415-447-5000. Hyde Street Pier – The pier is open seven days a week from 9:30 am to 5 pm. However, a ticket to board the historic ships is not sold after 4:30 pm. The pier is closed on Thanksgiving, Christmas, and New Year’s Days. The Maritime Museum is located in the Aquatic Park Bathhouse Building. Open seven days a week. Closed on Thanksgiving, Christmas, and New Year’s Days. Standard hours are 10 am to 4 pm daily. The pier and maritime museum are best reached via public transportation or uber. There is very little to no parking near the park. 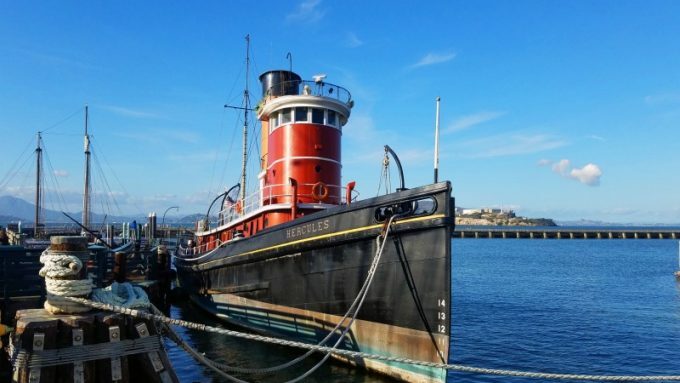 Entrance Fee to Board the Historic Vessels – $10.00 Per person fee to board the historic ships at Hyde Street Pier. Good for seven days. Children 15 and younger are free. 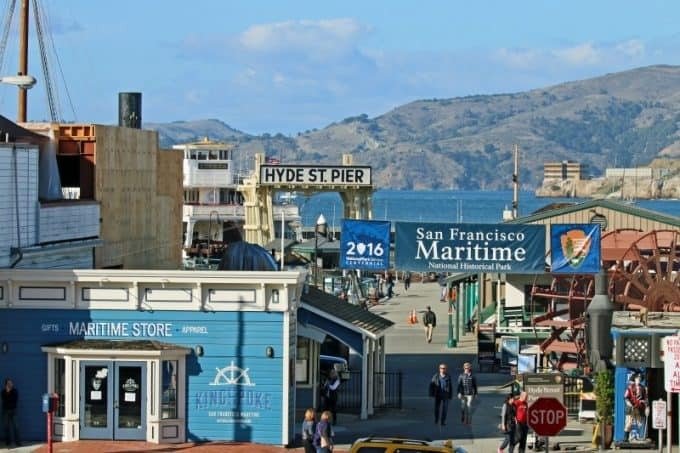 Visit the Hyde Street Pier ticket booth to purchase a ticket to explore the historic vessels. Cash and credit/debit cards with Visa/Mastercard logo are accepted. Credit/Debit cards preferred for payment. Annual San Francisco Maritime Park Pass – $40.00, Good for one year. Only valid for San Francisco Maritime National Historical Park. The pass holder may enter with three additional adults and any number of children 15 years old and younger. You can also use your National Parks Pass to enter the park.